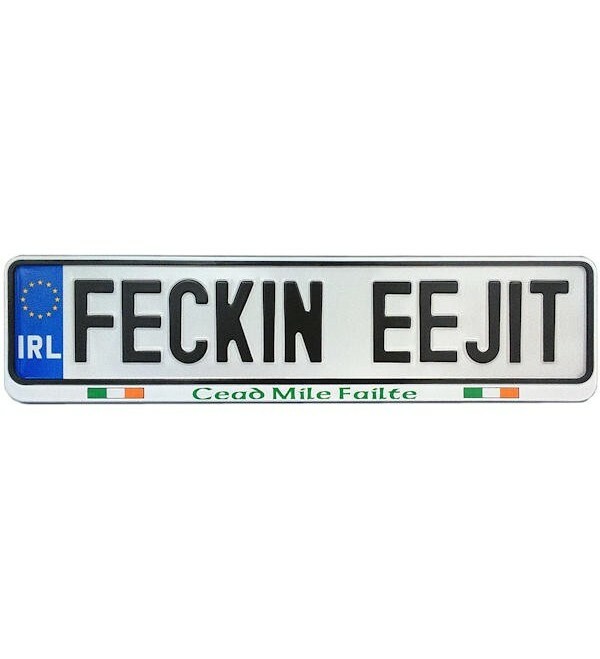 Authentic embossed aluminum Irish car license plate with FECKIN EEJIT registration in a Cead Mile Failte surround. 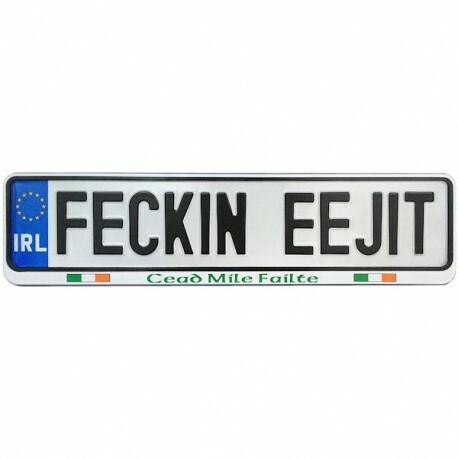 Authentic embossed aluminum Irish car license plate with FECKIN EEJIT registration in a Cead Mile Failte surround. Hand made in Ireland.